Parking lot Internet anywhere in Vegas and surrounding areas. If you're looking to supply customers on the premises of your property or somewhere for a temporary event for a trailer, show, or convention please call us. LV.Net’s High Speed Microwave, Wireless Internet and Wi-Fi offer coverage beyond regular residences and businesses. LV.Net offers full-scale wireless and Wi-Fi services to parking lots, parks, and other immediate plots of land, large or small. With LV.Net, we bypass the need for cable installation, maintenance, and various other hassles that come with traditional ISP service. LV.Net has supplied clients across Southern Nevada and beyond for seventeen years. Our network is built with a flexibility and redundancy unmatched by the competition, ensuring your connections stay up and running no matter what the circumstance. Our highly trained staff and support are also available 24/7 to handle any concerns or questions you may have. With LV.Net, you can be guaranteed service no matter what the scale. 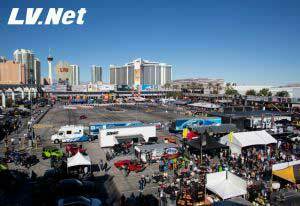 Have a convention or in need of temporary High Speed Internet 1Mbps to 1000Mbps in Parking Lots call us now 702.900.0000 for a quote or email us.